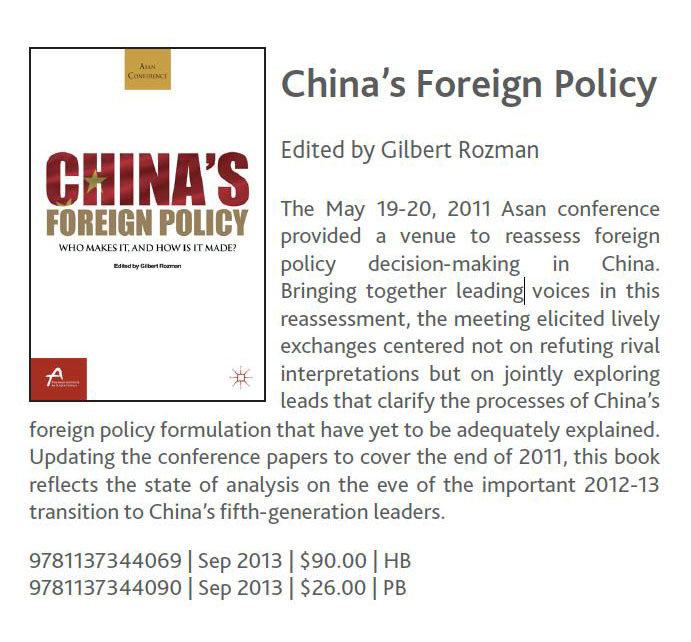 Produced as the result of an Asan Institute conference, China’s Foreign Policy was first published by the Asan Institute for Policy Studies in August 31, 2012. The book was released once again in September 19, 2013 through Palgrave Macmillan in association with the Institute, now available to readers in the US and worldwide. How Do Monetary and Financial Issues Interact with China’s Foreign Policy Making?